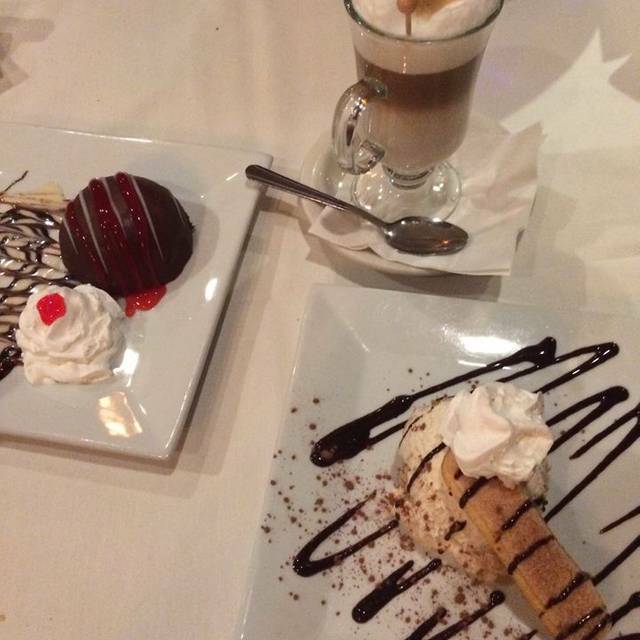 You must make reservations at least 5 minutes in advance of the time at Capriccio Ristorante - Pembroke Pines. Live entertainment nightly. Pianist every evening in main dining rooms. Violinist and pianist Wednesday through Saturday. Keyboardist and vocalist in lounge from 5:30 until 9:30 Tuesday through Friday. Friday keyboardist and vocalist until 1 am. Saturday vocalist and guitarist 7:30 pm until midnight.
" Where food, music and memories embrace" tells our story. 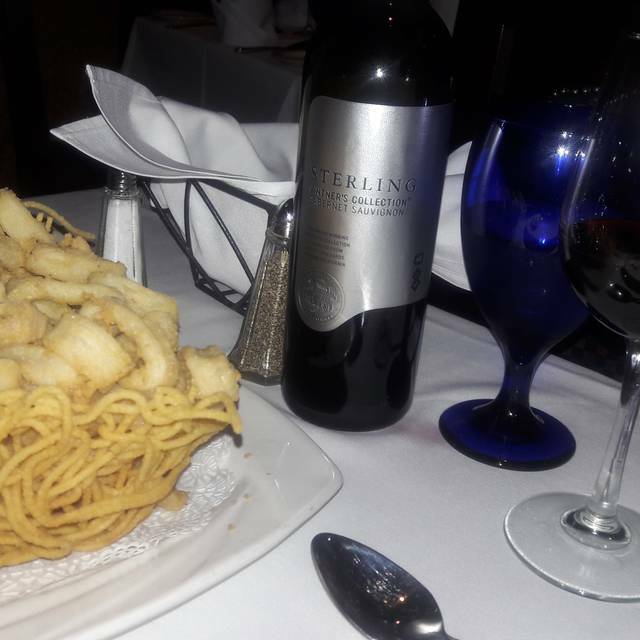 For over 30 years, Capriccio's has been serving West Broward great Italian cuisine. We enhance your dinner with romantic and classical music of a pianist, violinist and vocalist. Many clients start and end their evening in our beautiful lounge hosting a 6 foot chandelier over an octagonal granite bar. Happy hour during the week with a keyboardist and vocalist begin the evening in a fun atmosphere. Impeccable service and the highest quality of food awaits you whether you choose to dine in the elegant lounge or venture on to one of the main dining rooms. Enjoy one of our after dinner coffees or drinks back in the lounge and stay for dancing on Friday and Saturdays until midnight. Come and experience Capriccio's, where our food and music and your memories will embrace! Went for our 25 Wedding Anniversary and it was just as nice as when we went while dating. Unfortunately, the live musician was sick but the food was excellent! We celebrated mother son birthdays! Very nice restaurant. The piano and the singer made a wonderful evening for us. Food and service were very good. 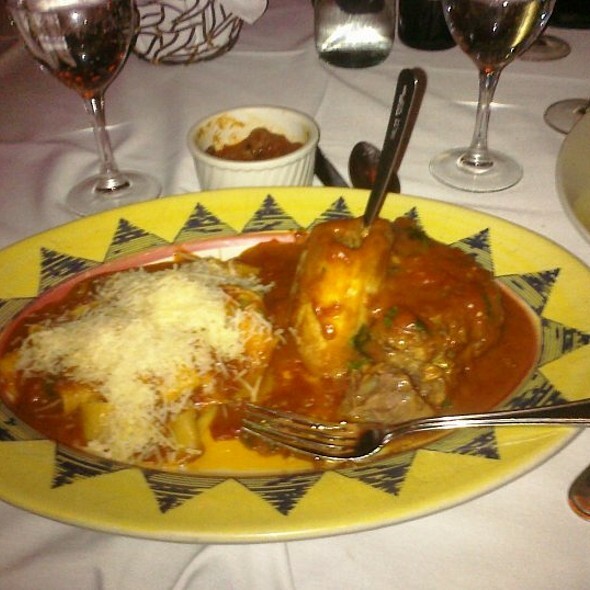 The food and service at Capriccio is consistently excellent. They will prepare any dish you like and they are always accommodating in every way. Awesome experience! 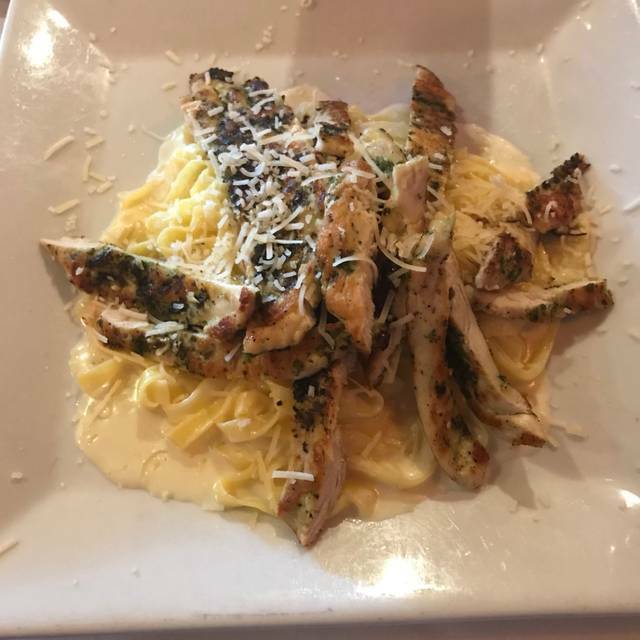 The food was delicious and the service was outstanding! 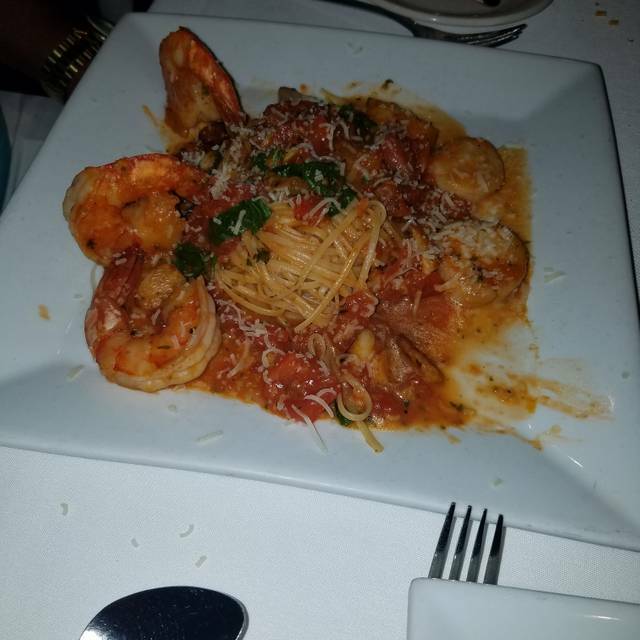 Always terrific food and terrific service . You are never disappointed. so worth it, the food and service were excellent. Great suggestions with our meals and wonderful specials. Excellent food and service. We love to go here always! Everything seemed disorganized workers did not communicate with each other and room was loud. Food was just ok and the way this restaurant was recommended it should have been a lot better. 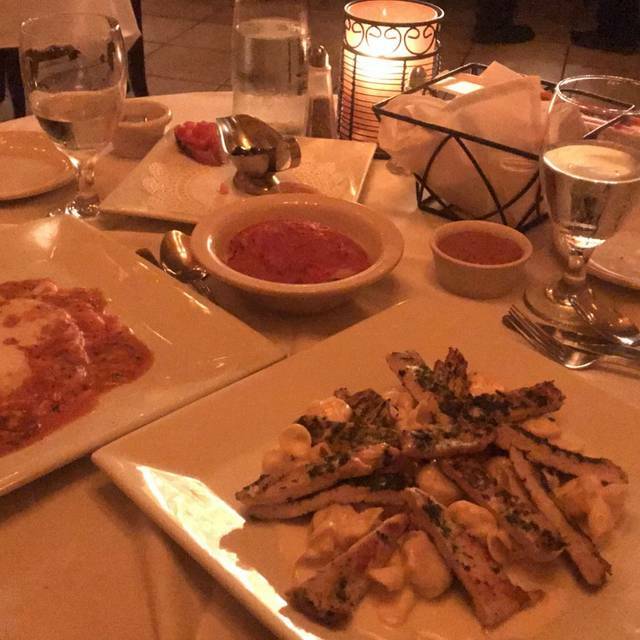 Go to I’ll Mulino in Fort Lauderdale for much much better food or Vinettos in Plantation for a better experience. The best place for amazing food, great service, and awesome music!! very good better food and service were outstanding, overall much better then expected . Would definitely recommend this restaurant to anyone. One of my favorite restaurants in Broward County. An absolute gem. We had our small intimate wedding reception at the restaurant in a private room and it was perfect. My husband and I go back every year multiple times and always on our anniversary. The restaurant now has a larger beautiful banquet room, equivalent to any upscale hotel, that accommodates enough for a large wedding and they also cater their amazing food. In almost 20 years we have never left after a meal not feeling wonderful about our dining experience. The majority of the staff have been working at the restaurant for years and it shows in their service. I couldn’t recommend this restaurant any more. Love Capriccio. I make it a point that I come here for dinner whenever I come down to visit my mom. We love the food and service. We always have an excellent meal. I highly recommend this restaurant. C'est un restaurant que l'on fréquente lorsque nous sommes en Floride. Nous aurions apprécier avoir le violoniste du mois de février, mais je crois que le proprio a su nous divertir en chantant. Took a friend with us and had a wonderful dinner. The service from Leonardo was excellent. The singer was great made us feel like if we were in an Italian restaurant in New York City with Frank Sinatra. The food was superb. We have been here with different guest and it’s always great. Over all ambience is nice. Noise level is a bit high; might try the bar area next time. Very good menu choices. Presentation of food is attractive. Service is very polite and organized very well. Worth another visit for sure. Lovely evening, we'll be back. Great food, great service, as usual...I will strongly recomend this place. Customer since 1997. Outstanding service. Quality and flavor of food is as consistent as it was the first time we visited which was many years ago. Linguine and clam sauce was outstanding. Love the eggplant caponata and salad that they give you with your meal. It is the best dressing I've ever tasted! This is an authentic Italian restaurant. The food and the attention is excellent. Highly recommended! There was a lot of conversation amongst your waiters. They were mostly standing by the entrance an talking. I agree that they shoudl be available, but not like that. Your food is as good a Brio Grill, and their prices are lower. The food was very mediocre. I remembered it being excellent. It must have gone down or memory failed me. We were a party of 7. None of us loved it. The service was great! Staff very nice! But we will not be coming coming back. Very disappointed in the meal. Mario was our server. He was very good and all the servers were great.did everything right! Food delicious. A very happy atmosphere. Wonderful food great music and an Italian feeling. Each time I come here the service is impeccable. The food is always great. This time I had the Lasagna, one of my colleagues has the pounded veal chop, and the other the Branzini. All were great. I always know exactly what to expect when I come here so I am comfortable bringing guests. Great job! 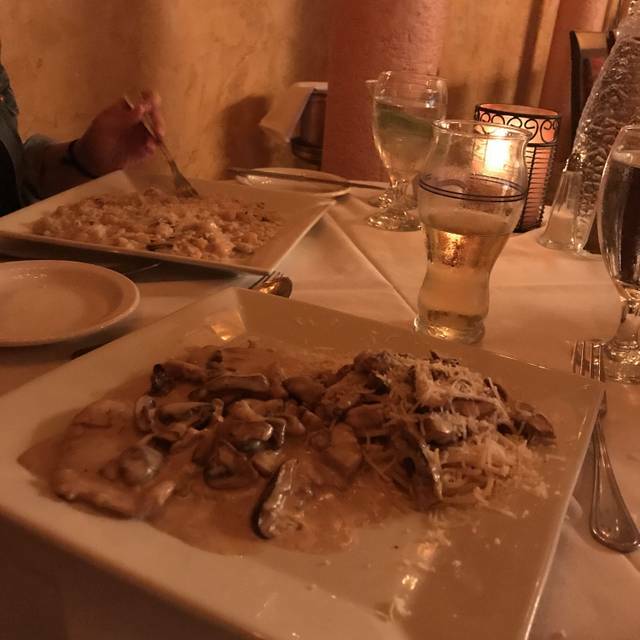 Best Italian food in browsed county!! Quality ingredients, homemade food. The musician was SO GOOD. Added great ambiance to a really great meal. Food was delicious! The service was really good, but there was a strange moody vibe coming from most of the servers. Most of them also smelled like cigarette smoke. 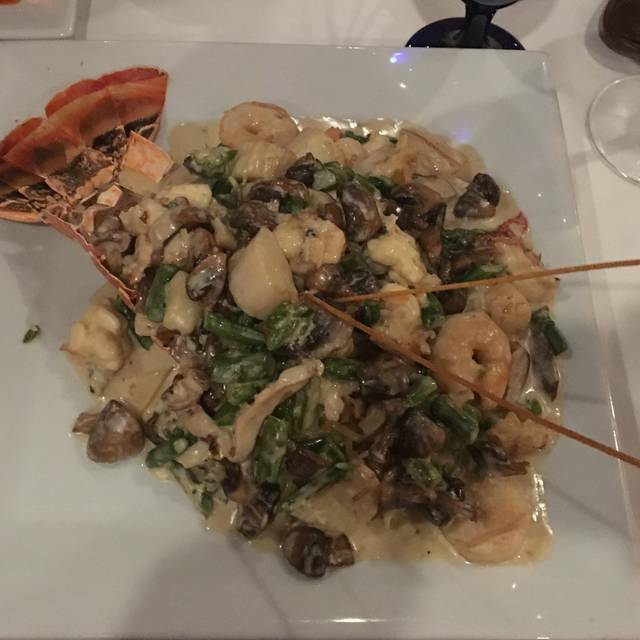 Excellent service, excellent food and great ambiance. Excellent service, fodd very good. The music thepiano and violin good ambiance. 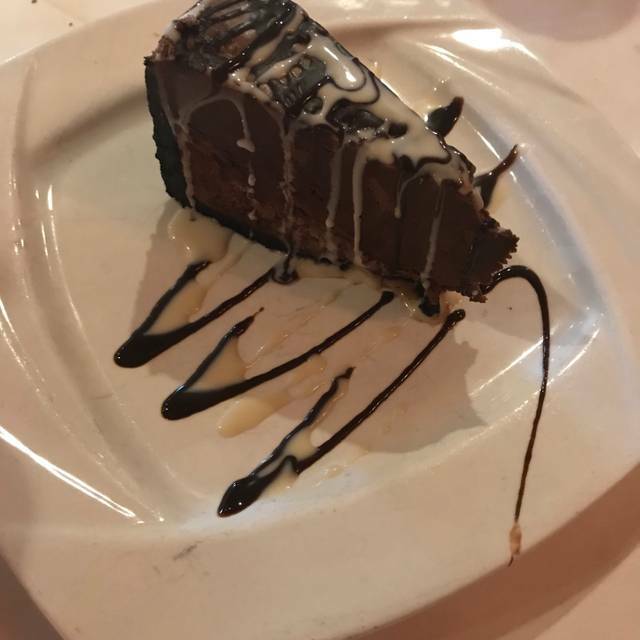 It was my husband’s birthday they served a dessert. We were 3 couples and we enjoyed our evening. Excellent we love this place. Great food excellent service wonderful ambiance. The food was microwaved and I say this because Vela should be very tender not rubbery and the sauce should not have a film on it, also when pasta comes to you it should not be screaming hot as well as a plate which is a sure sign of microwaved. For the price I would say it should be fresh not reheated in a microwave. I am sorry you were not happy with your meal. But I can assure you it was not microwaved since we do not have one in the kitchen. All of our food is cooked to order.